40 schools competed to design the best poster showing the power of vegetables for a city-wide healthy eating ad campaign in Glasgow. Winners were announced at the Barras Art and Design centre with live music from Barrowband and help from Broccoli Bill. The winning designs will be displayed on Clear Channel’s digital advertising screens around the city in April. The poster competition was initiated by Glasgow Community Food Network (GCFN) and supports Veg Cities and Veg Power campaigns. The design competition helped school kids think about the advertising they see every day and learn how to make veg fun and exciting to other young people. Some 40 schools with over 300 entries, P4-P7 and S1-S3 competed with each other to see which pupil could come up with the best poster design showing the power of Veg. 10 finalists from a total of 300 entries from primary and secondary schools had their posters judged by Dan Parker from the Veg Power campaign, and creative design agencies Warriors Studio's and BC Printing who are sponsoring the competition by printing up the winning designs. All the judges commented how overwhelmed they were by the amount of great ideas and creativity from the kids. The primary school category winning design was made by a Thornwood Primary School and the secondary school category was made by Lourdes Secondary School. Both pupils will get support from Scottish based creative agency Stripe Communications to prep their work for the Clear Channel digital billboards. All design and advertising support was donated. 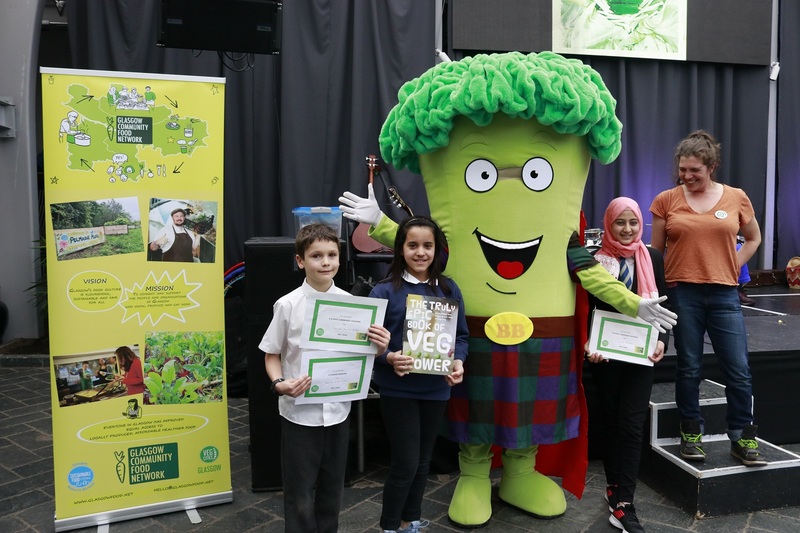 The winning schools received six gardening and cooking sessions from Glasgow Community Food Network and a Veg Power recipe book for fun and exciting ways for kids to cook with veg.